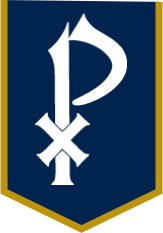 Join alumni, parents, parents of alumni, faculty, and friends of St. Pius X for a day of fellowship and friendly competition to benefit the St. Pius X football program and the Alumni Association Scholarship Fund. June 7, 2019 | Twin Lakes Swim Tennis | 6:00 p.m. - 9:30 p.m.
Join alumni, parents, parents of alumni, faculty, and friends of St. Pius X for a fun evening as we "mix it up" on the courts at Twin Lakes. This is the 3rd annual tennis mixer and it's a guaranteed good time. 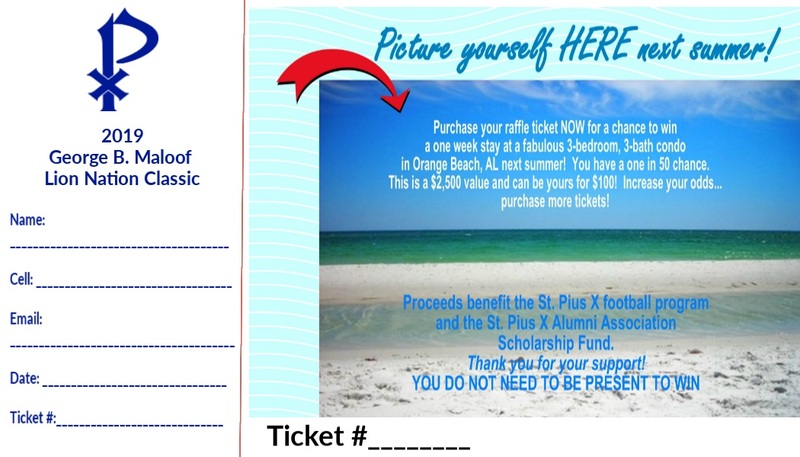 Grab your friends to come out to play or socialize and help raise funds for the St. Pius X football program and the Alumni Association Scholarship Fund. All levels of play are welcome. Purchase your 1 in 50 chance to win a week's stay at beautiful Orange Beach! Buy raffle tickets HERE. Register for Golf/Tennis and Sponsorships. Register with SPX FACTS account. 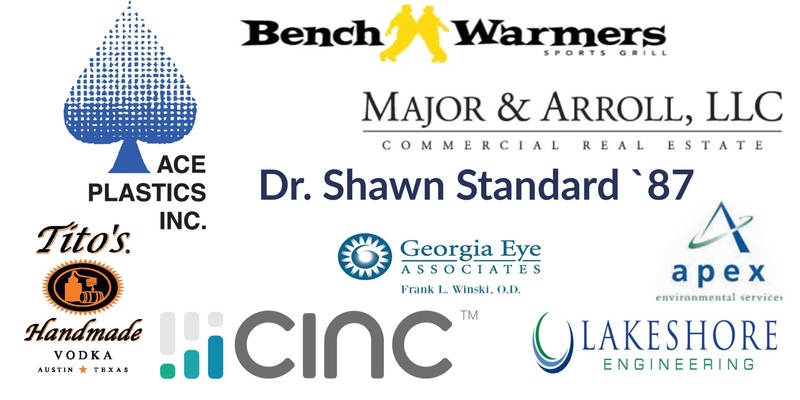 Thank you to our generous 2019 Tournament sponsors!